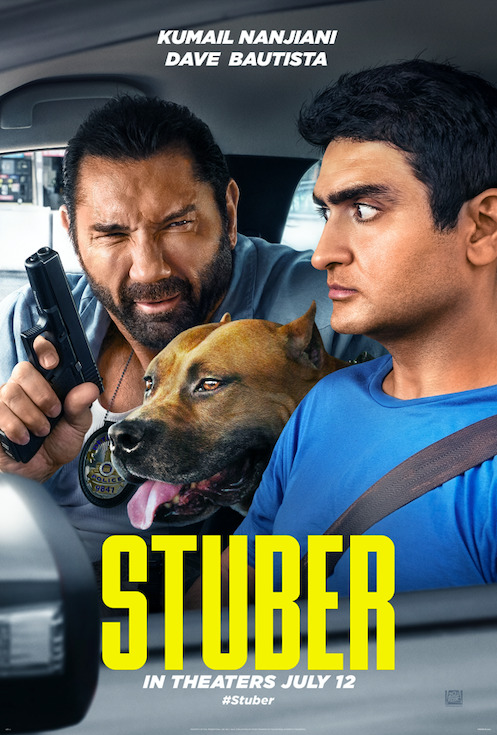 Here is the trailer from the upcoming film “STUBER.” Directed by Michael Dowse. The film stars Kumail Nanjiani, Dave Bautista, Iko Uwais, Natalie Morales, Betty Gilpin, Jimmy Tatro, Mira Sorvino, Karen Gillan. Here is the third trailer from the upcoming film “JUMANJI: WELCOME TO THE JUNGLE” The film is directed by Jake Kasdan, starring Dwayne Johnson, Jack Black, Kevin Hart, Karen Gillan, Nick Jonas, Bobby Cannavale. JUMANJI: WELCOME TO THE JUNGLE hits theaters everywhere on December 20, 2017! Here is the trailer from the upcoming film “JUMANJI: WELCOME TO THE JUNGLE” The film is directed by Jake Kasdan, starring Dwayne Johnson, Jack Black, Kevin Hart, Karen Gillan, Nick Jonas, Bobby Cannavale. Here is the new teaser trailer for the upcoming film GUARDIANS OF THE GALAXY. The movie is directed by James Gunn, starring Chris Pratt, Zoe Saldana, Dave Bautista, featuring Vin Diesel as the voice of Groot, Bradley Cooper as the voice of Rocket, Lee Pace, Michael Rooker, Karen Gillan, Djimon Hounsou, with John C. Reilly, Glenn Close as Nova Prime Rael and Benicio del Toro as The Collector. GUARDIANS OF THE GALAXY will be in theaters everywhere August 1, 2014. Meet the Guardians from the upcoming film GUARDIANS OF THE GALAXY. The movie is directed by James Gunn, starring Chris Pratt, Zoe Saldana, Dave Bautista, featuring Vin Diesel as the voice of Groot, Bradley Cooper as the voice of Rocket, Lee Pace, Michael Rooker, Karen Gillan, Djimon Hounsou, with John C. Reilly, Glenn Close as Nova Prime Rael and Benicio del Toro as The Collector. Here is the teaser trailer for the upcoming film GUARDIANS OF THE GALAXY. The movie is directed by James Gunn, starring Chris Pratt, Zoe Saldana, Dave Bautista, featuring Vin Diesel as the voice of Groot, Bradley Cooper as the voice of Rocket, Lee Pace, Michael Rooker, Karen Gillan, Djimon Hounsou, with John C. Reilly, Glenn Close as Nova Prime Rael and Benicio del Toro as The Collector. Here is the poster for the upcoming film OCULUS. The movie is directed by Mike Flanagan, starring Karen Gillan, Brenton Thwaites, Rory Cochrane and Katee Sackhoff. 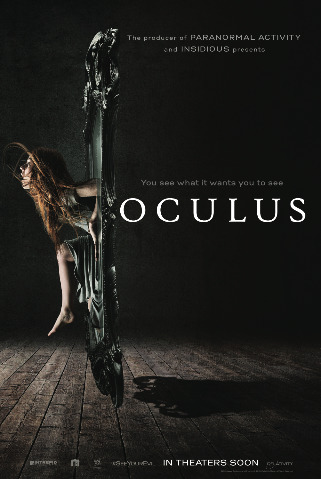 Here is the trailer for the upcoming film OCULUS. The movie is directed by Mike Flanagan, starring Karen Gillan, Brenton Thwaites, Rory Cochrane and Katee Sackhoff.